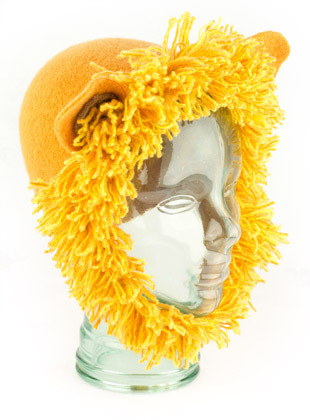 tawny yellow lion hat w/shaggy mane and ears. Please specify baby or kid size. Both sizes have earflaps and chin strap.